Don’t miss the video for this delicious vegan apple tart and 2 more delicious vegan dessert recipes below! Apple pie is fantastic, but sometimes I’m in the mood for something healthier and a little more unique for dessert. 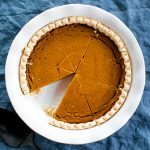 With Thanksgiving just days away I’ve been thinking a lot about how to avoid eating too many sweets, processed foods, and drinking too much alcohol. I definitely think you can enjoy yourself without going into a sugar coma or having a hangover this holiday season. 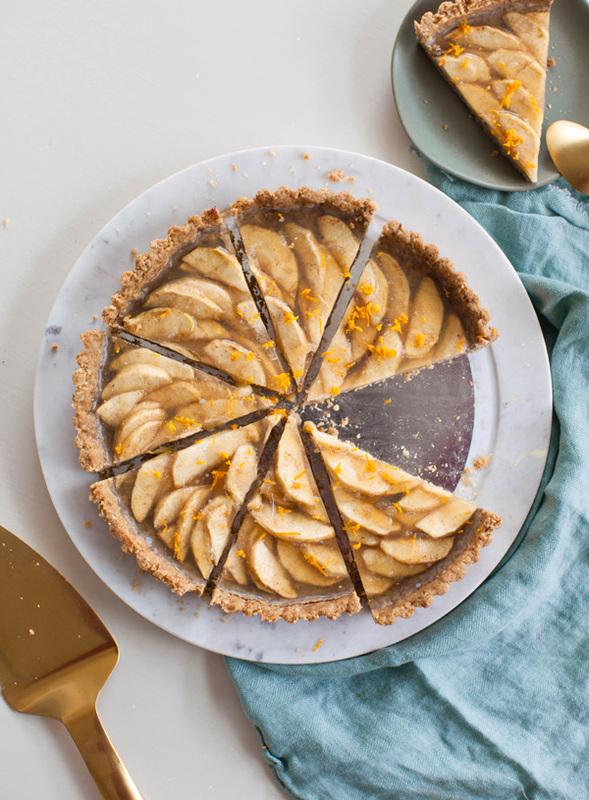 This simple yet delicious vegan apple tart with walnut crust is the answer. 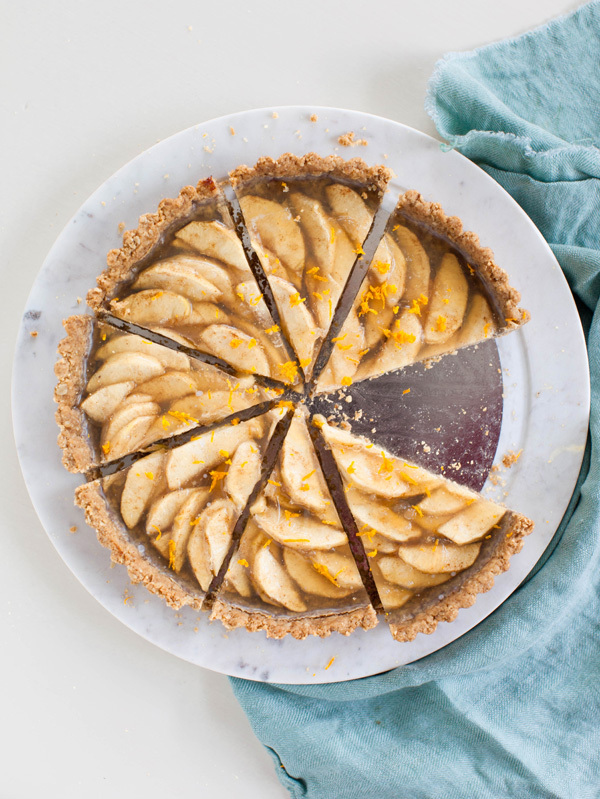 There’s not an ounce of refined sugar, vegan butter, or white flour in this tart. 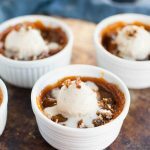 It’s sweetened with rich and complex maple syrup, and the crust is made with walnuts, oats, and whole wheat pastry flour. 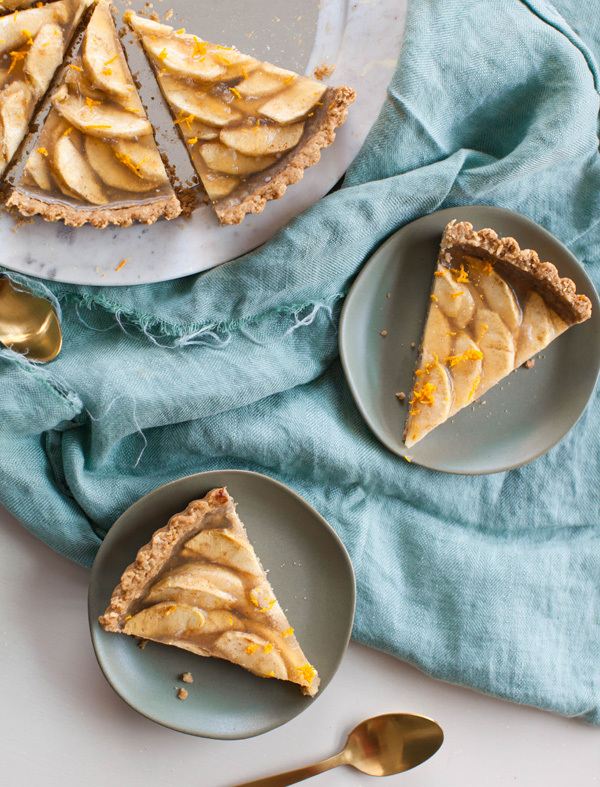 This vegan apple tart is sweet, but not overly so. You definitely don’t have to feel terrible about having a whole slice, or even two. And that’s how food should be: delicious, nourishing, and enjoyable. Recipe adapted from Amy Chaplin's cookbook "at home in the whole food kitchen". NOTE: I made a slight change to the filling ingredients on Nov 25. Preheat ove to 350°, and grease a tart pan. In a food processor blend the oats, walnuts, salt, and flour until it resembles a course meal. Then pour in maple syrup, coconut oil, and vanilla, and blend again. You should have a sticky damp dough. Be careful not to overblend. Press and shape the walnut dough into the tart pan. Make sure the walls are thick enough and packed tightly. Poke holes into the bottom with a fork and bake for 15 minutes at 350°. Peel, core, and thinly slice the apples. Squeeze the juice of a lemon over the apple slices to prevent browning. Pour 1 cup of apple juice and agar powder into a pan, whisk well. Bring it to a simmer and continue to cook for 5 minutes, covered. In a small bowl mix the arrowroot powder and the remaining 2 teaspoons of apple juice. Stir well to eliminate any chunks. Pour it into the cooking agar mixture, and whisk for a few minutes until it begins to thicken. It will not thicken too much, and will still be liquidy. Then remove it from the heat. To the apple slices add nutmeg, cinnamon, maple syrup,and vanilla. Use your hands to toss them. Configure the apples into the center of the baked pie crust, then pour the agar mixture evenly over the apples. To avoid burnt edges, cover the edges in aluminum foil. 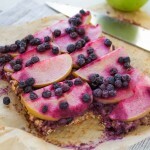 Bake for 40-45 minutes, until the apples are tender. Let it cool a bit before serving warm or room temperature. Garnish with orange zest before serving.